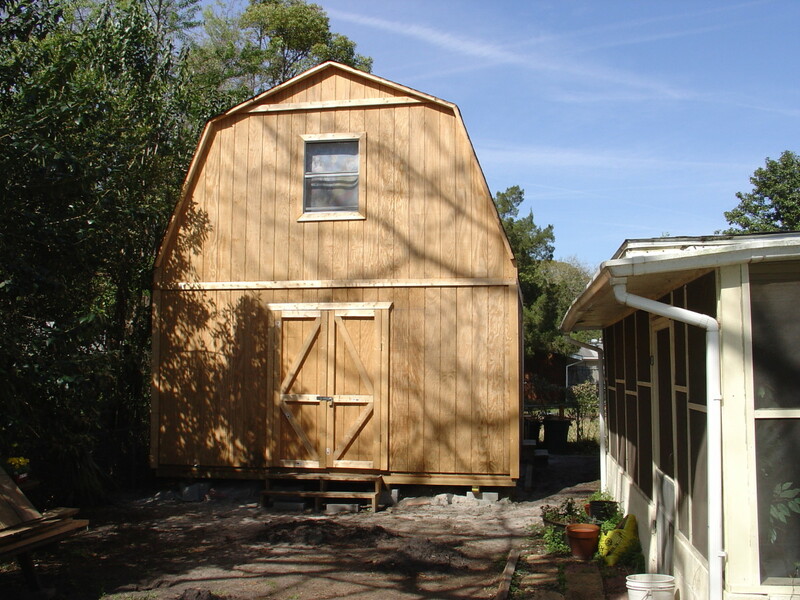 You've Decided To Do-it-yourself and Buy Wood Shed Plans... Now What? 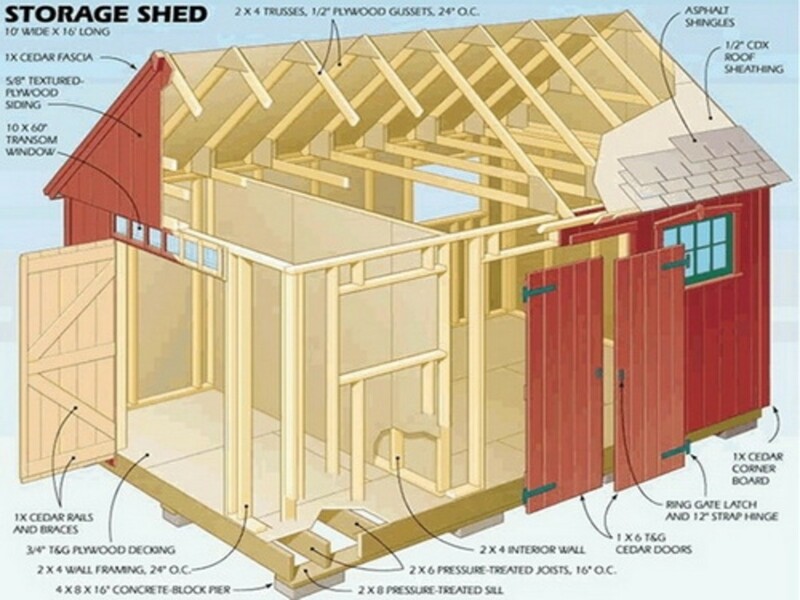 Can do-it-yourself builders really benefit from premium wood shed plans? Read this free tutorial to learn how I get professional results every time. 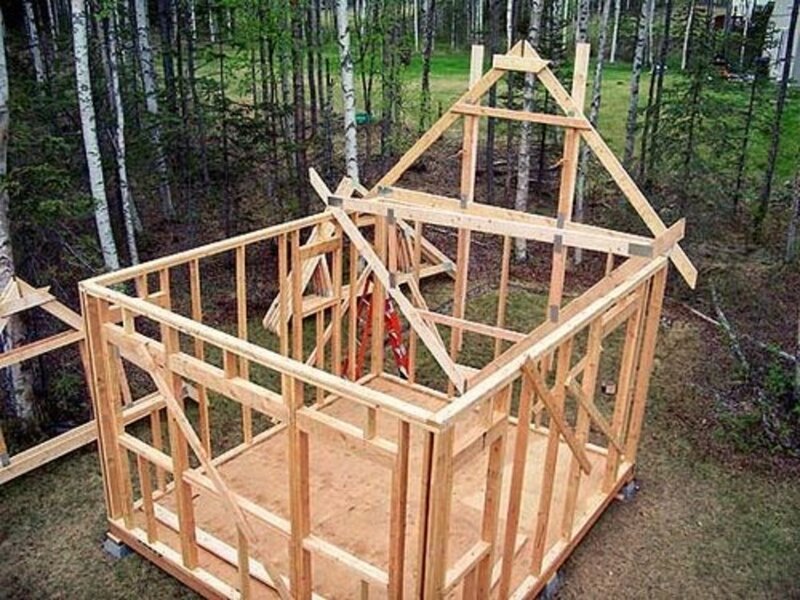 I consider myself a wood shed plans expert, having built dozens of wood sheds. And, the two most important things I consider when buying DIY shed plans are: space planning and shed location. At this point in the process, I don't get distracted thinking about matching home colors, character, or building styles. I don't waste my time on free plans, store-bought sheds, or ready-made, mail order kit solutions... been there, done that. Free means lack of user feedback and you get absolutely no customer support. With store-bought and ready-made mail order sheds: they're flimsy, profit-driven solutions that I've always had to tear apart and modify too much to get the storage space to work or to match the character and style of the home. 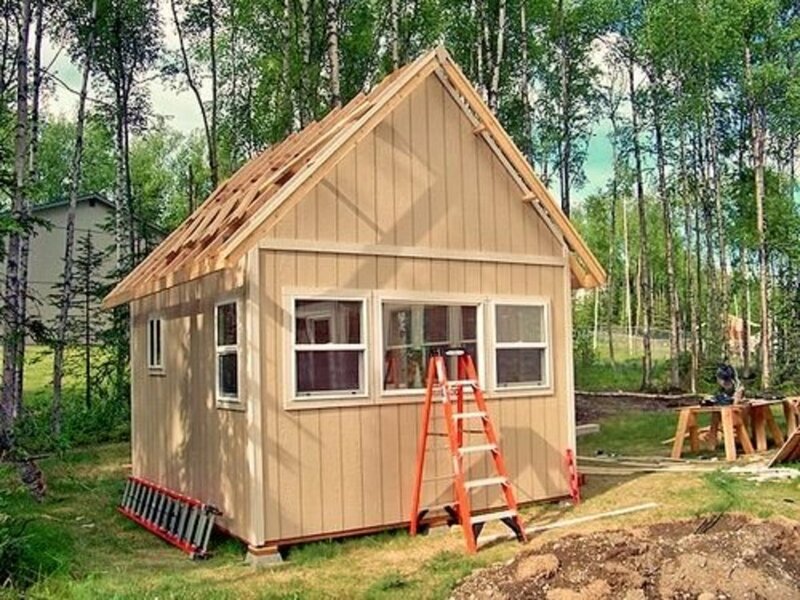 Start out on the right path with a set of the best shed plans you can find and do it yourself. Why? Because it matters. You'll be creating something that lasts - something to be proud of. Before a hammer hits a nail: plan, plan, and plan some more. 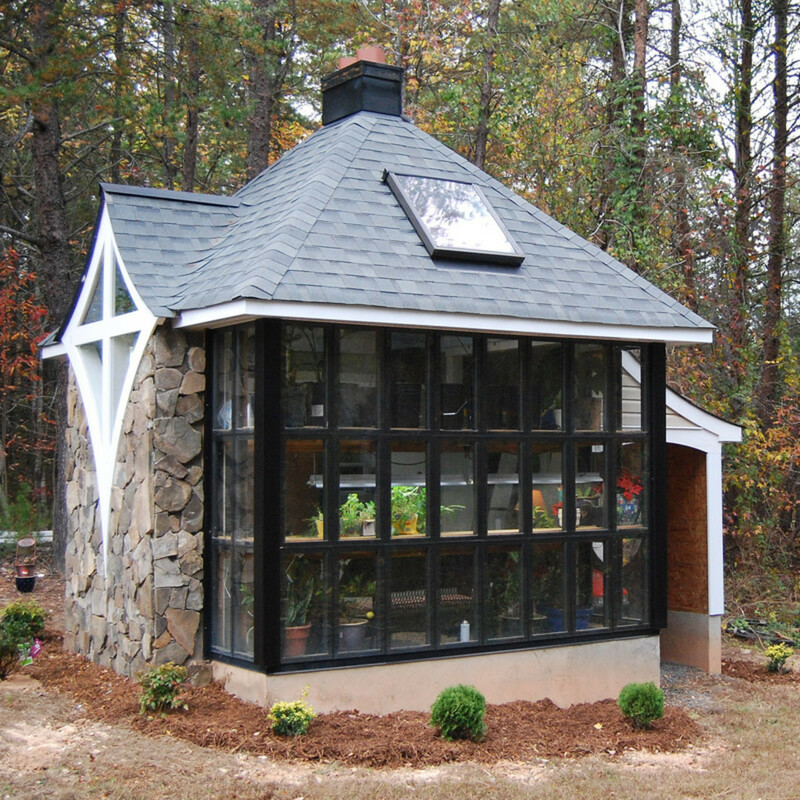 All too often people visit local home centers to get shed ideas. They go inside the prebuilt sheds in the parking lot and decide their own storage needs right then and there. Even worse, they'll grab a few brochures and use those ideas to find a shed design online without doing any proper space planning. I've lost track of the count on how many calls I've gotten from people asking me for help, after they've built and forgotten to add space for this and that... when it's too late. Unfortunately, I often have to reply, "Sorry, there is no way to easily fix things." There's no reset button. It's not enough to buy a shed plan just because it'll look good in your back yard, it must be functional and meet all your present and future needs. Take plenty of time evaluating and make a list. My advice... Simply put all the things you'll be storing in the shed outside in the yard and arrange them the way they would be hung, shelved, parked, or stored overhead in the rafters. Arrange things that will take up floor space, such as: a workbench, tools, wheelbarrows, mowers, walkway, door swing, etc. - creating an imagined square or rectangular shed floor area. Then, stake out the corners of the imagined shed floor to get the overall dimensions. Don't cut your plan short during this step and allow a little extra space for growth. It's only natural that the longer you own your home, the more you'll have to store. When finalizing your space planning and overall shed dimensions, stick to even numbers (for example: 8'x10', 10'x10', 10'x12', 12'x12', 12'x16', etc). Even dimensions will help to eliminate wasted building materials. 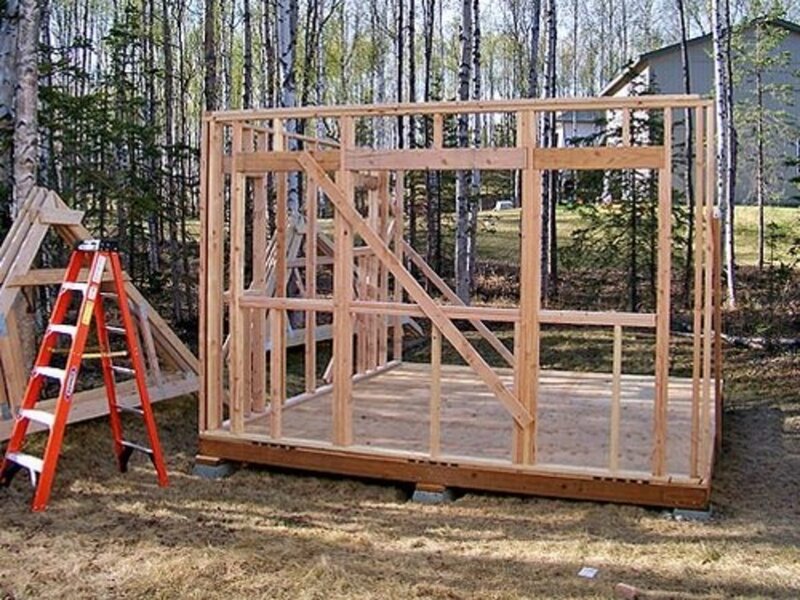 Now that you have a good idea of how many square feet you'll need, grab a comfortable lawn chair and a cool beverage, pick a shady location in the back yard and relax for a bit... don't take this advice lightly as you're going to be choosing the best location to build your backyard wood shed. Choose a location that's mostly level and has good water drainage. The spot should also work well with the surrounding landscape. Avoid low-lying areas that collect water because excess moisture may cause premature wood rot, make your hinges rust, and promote mold and mildew growth. If you're planning to add area lights, plumbing, a security system, or a dehumidifier inside the shed, you'll want to build close to the house or where utilities are nearby. DIY Building Does Not Mean "Do-it-ALL-yourself"
As the old saying goes, "Many hands make light work." If you're always in a hurry and terrible with commitments, I might suggest you rent a storage space or continue parking your forty thousand dollar cars in the driveway and save your garage space for unused furniture, bicycles, unpacked boxes, garden rakes, and lawn mowers. Because, the biggest enemy in do-it-yourself is not the lack of carpentry skills or ability to follow directions, but lack of planning and failure to schedule the time it takes to get the job done. My advice... Don't do-it-all-yourself. Novice and pro alike can benefit from each other in DIY. 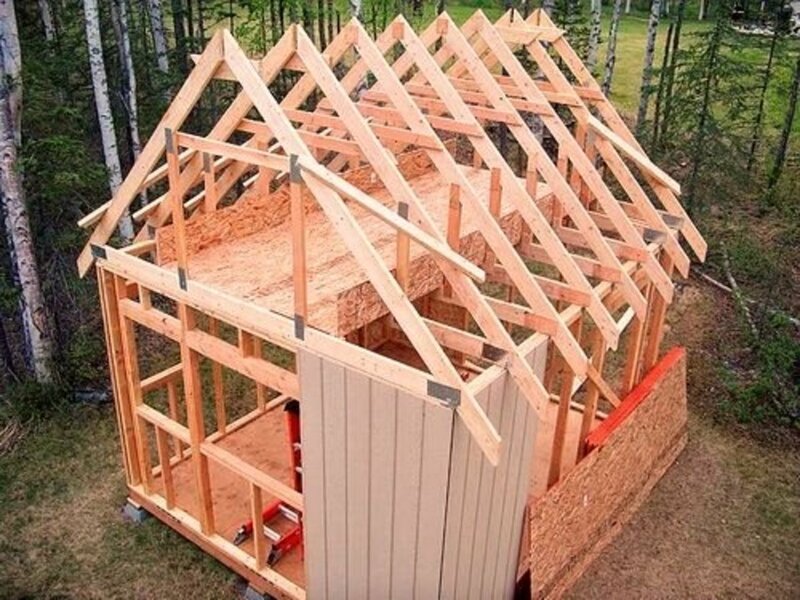 You might have the shed location leveled by a landscaper; get a referral to outsource the shed's foundation to a building subcontractor; you can even have the roof's trusses made by a local truss company and the shingles installed by a handyman or roofer. Building a shed can be a lot of work, but the process can be made more enjoyable if you include a few pros or have a few eager friends to contribute a helping hand. Work smarter, not harder. Turning off the DIY at times should keep you moving forward. Before You Build: Become Friends with the Local Building Inspector - Make this time count by asking plenty of questions. To be sure, the whole permitting process can be a bit intimidating. And, if I'm being honest here, I've never been comfortable dealing with the city and all their codes - seems they're always moving the line on me. But, I always make it a point to be friendly with the Building Inspector. He's there to help and can be a fountain of information, when building your wood shed. During the review and permitting process, the Inspector will most likely visit your home to approve the location and put the final stamp of approval on your plans. Make this time count: ask plenty of questions and you'll avoid having to correct any code violations. Please be careful, when working with subcontractors! if you're told their work doesn't need a permit, you should check with the Inspector. 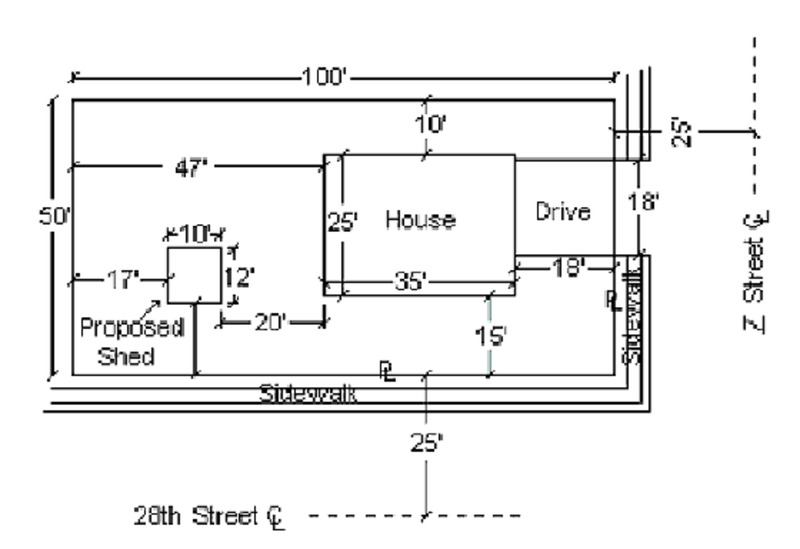 Can I Use My Shed Plans To Get A Permit? 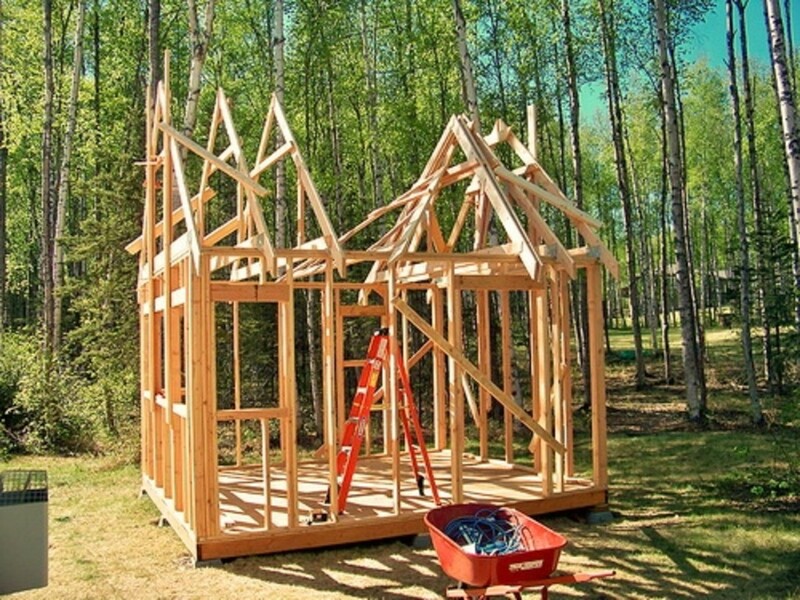 If you need a building permit to build a wood shed, you'll need to submit detailed plans to the local building department to show what you intend to build. 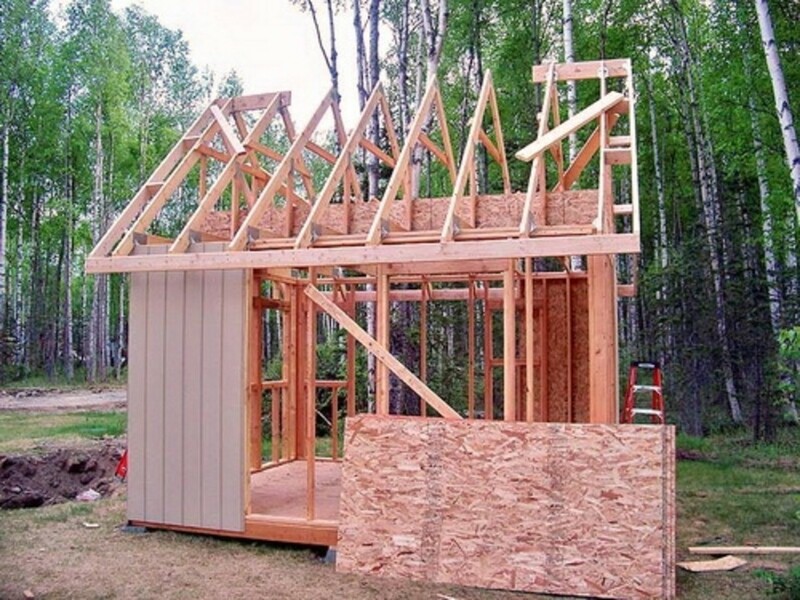 If you're not sure how to draw your own plans and don't want to pay to have an architect do it for you, professional wood shed plans can be submitted for the permit. You will, however, need to follow the approved plans and details without making changes. Also, a basic site plan that shows the outline of your property, house, and proposed shed location will need to be submitted, along with the plans. Be sure to indicate all existing structures (pool, fences, retaining walls, etc.) on the site plan. Forms are usually available for completing the site plans. Two sets of plans are typically required, for the approval process. Watch out! 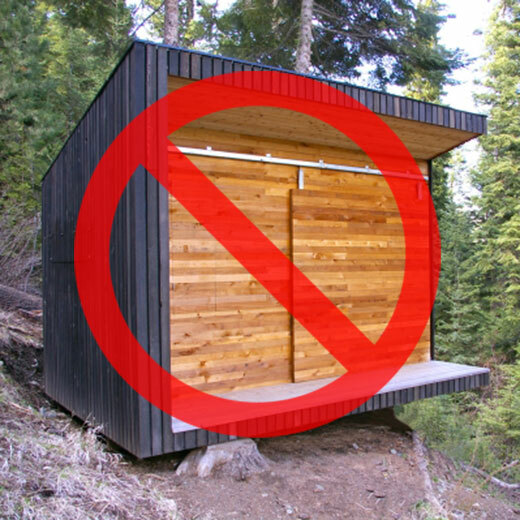 A common oversight occurs when a DIY shed builder—with a current permit—makes changes to the building without a new permit. 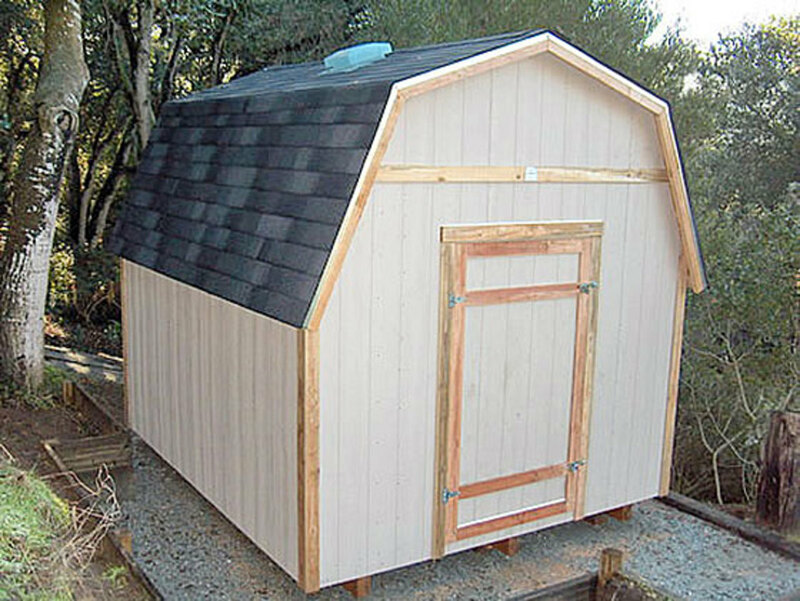 High quality wood shed plans will not only show you how to build, but tell you what tools and materials are right for the job. From creating a firm foundation to installing the doors and windows, you'll be taught everything you need to know. There's quite a variety of premium plans online, but my "go-to" place is My Shed Plans Elite. Once you become a member, you'll be able to look through each design, analyze the pros and cons, and choose the one that best fits your needs. STEP 1. What's the primary use for the shed? In most cases, storage space is the reason for a shed, so do a little space planning. 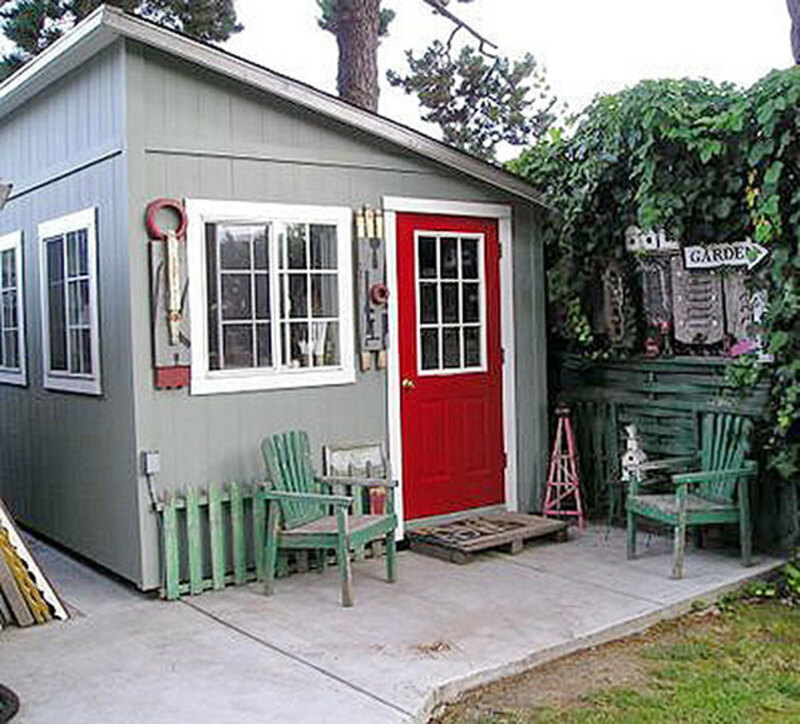 A smaller, 4' x 8' lean-to style can provide sufficient space for hand tools and a push mower, but larger items (like a riding mower, RV, or boat) may require more space. I strongly recommend the largest shed size that you can afford. Maybe you need a place to keep firewood for the fireplace you're planning to build next year? Don't forget to plan for the future and keep in mind that city building permits will be required for any built over 100 sq. ft. STEP 2. Is the shed used for every day (or nighttime) activities? If so, make sure you have a style with options that give you good interior access (and walkways) and if used at night: adequate lighting. Windows provide plenty of sunlight, but if you need lighting or interior power, build as close to the source of utilities as possible. STEP 3. 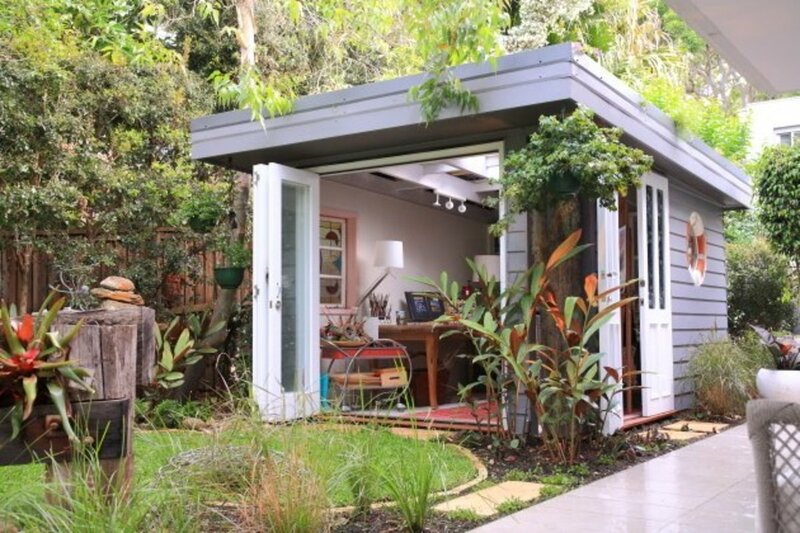 How important is the style and appearance of the shed next to your home? Remember that anything you build will either add or detract from your property's appearance and may impact your property value. Metal and vinyl materials may be easier to maintain, but are the least expensive options and tend to look cheap. Natural wood and prefinished wood products will add character and value, but are typically more expensive to buy and maintain. Once you've thought through the primary use, design and overall appearance of your shed, you'll want to take your time deciding on the shed's foundation. It can be a temporary solution, like: timber framed skids or a pier foundation. But, if you're going big, a permanent concrete slab may be your only choice. The classic look of the single sloping pent roof, reminds me of the old west, with roof angles that slope downward from front to rear (or side to side, in this example). Should you live up north and get a lot of snow, increase the pitch (how steep the slope is) so heavy snow buildup slides off easier. 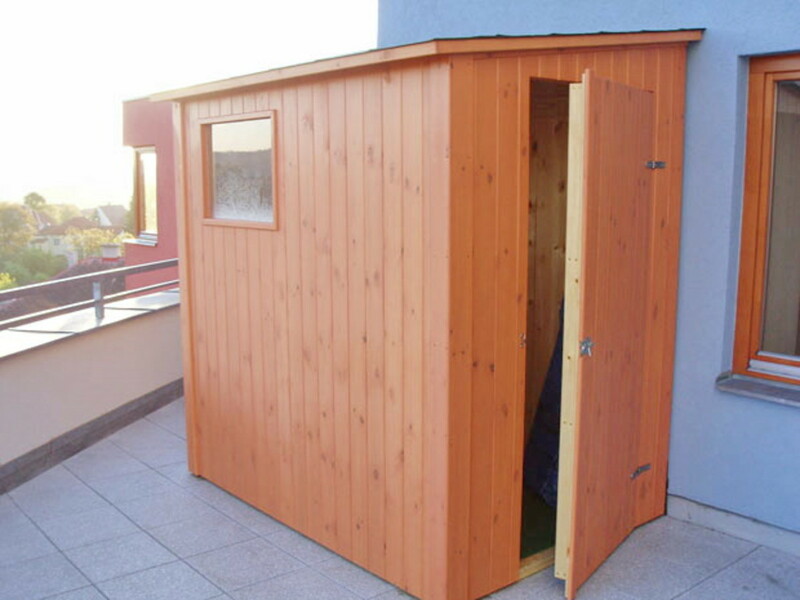 That said, this type of shed is most suited for fast storage solutions or when you're location is narrow. The slope will be governed by what you select for roofing material, local code or planning restraints, and limitations created by the strength and span of your roofing timbers. Besides working well with most climates, the "A" shape of a gable roof will give you an abundance of space within the roof rafters and will look good next to any style of home you might have. Gable roofs will generally be built with both sides equal in length, sloping down from a single roof ridge. The angle the roof will vary from about 20 degrees to 70 degrees in pitch. The steep roof design allows snow and tree leaves to slide off the surface with ease. While the roof may appear to be too difficult for a novice DIY builder, don't be discouraged. 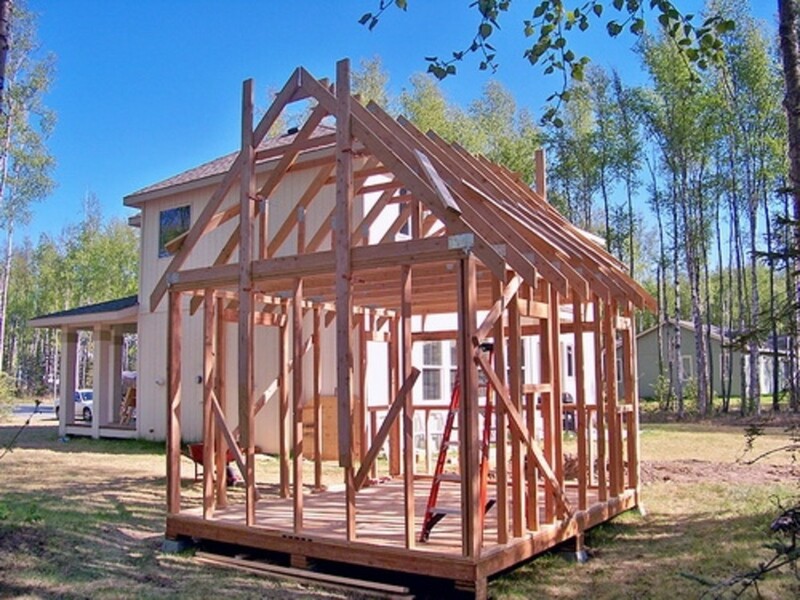 A good set of plans will make building a gambrel shed easier than you might imagine. If a back-home, country barn look is what you desire, then this is it! With a single peak and each side having two angles, a gambrel shed roof resembles the Liberty Bell. To be truly authentic, gambrel roof rafters are all the same length and the angles for each of the rafters is 22.5 degrees at the joint. Similar to a gable style roof, a saltbox roof has a peak and two sides. The difference is that the sides are not equal in size and length - one side is very short and steep and the other is long and flat. The main upside of this roof is that it can hold up to heavy winds and snow. What I've always liked about the saltbox, is that I can keep the overall shed height low - while using a set of double or sliding doors. They're a lot cheaper than a concrete slab and can be purchased ready to use. They are simple to use so specialized knowledge is not required. There's only a small amount of excavation required, before you begin to build. A pier foundation helps to safeguard your shed from ground moisture. What I like is that when I'm building on a sloped site, the piers can be easily adjusted or cut to the proper height for leveling the foundation. 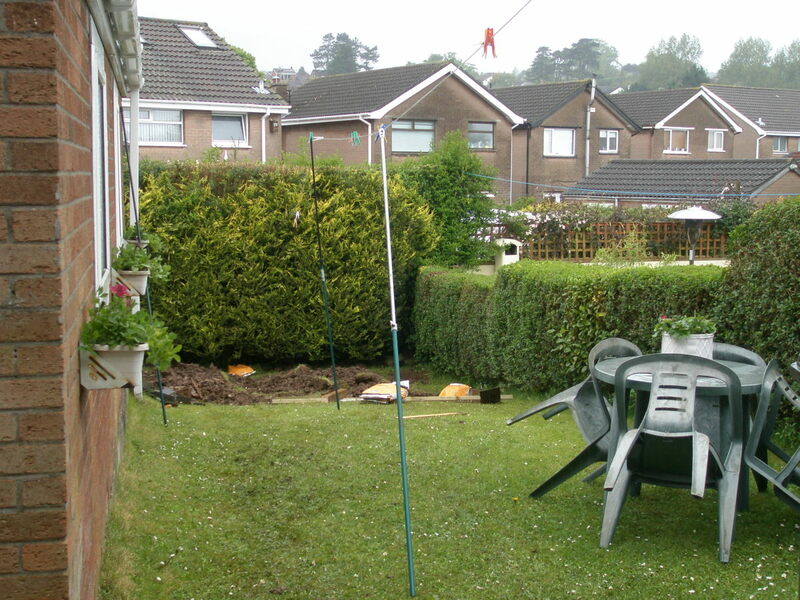 And, as an added bonus, the piers can be removed and moved along with the shed. The pier foundation and pressure-treated floor framing done. Plywood sheeting nailed down and ready for the walls. 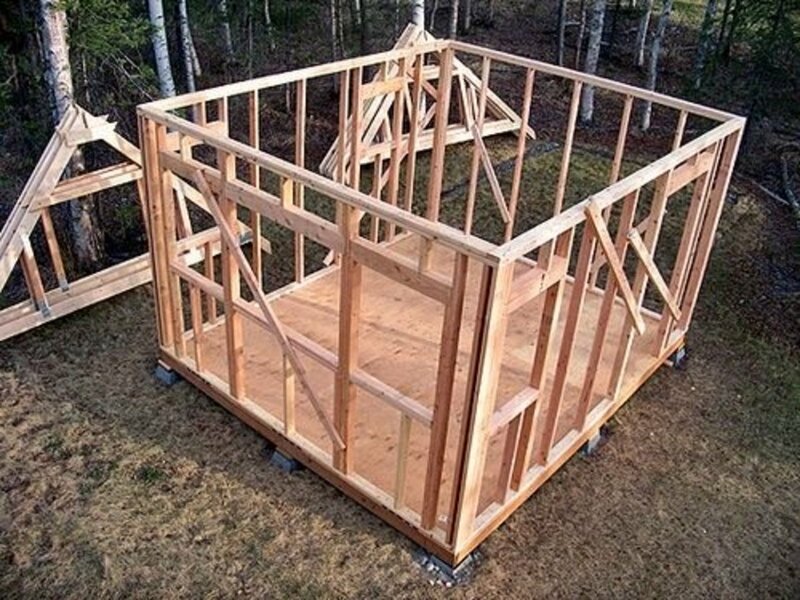 Before framing the walls, take advantage of the flat, open floor to build the trusses. After framing each wall, nail on a diagonal board to keep the wall square. Have the windows and doors on site to assure the rough openings are right. Bring the trusses inside and lift upside-down - setting on top of the wall. 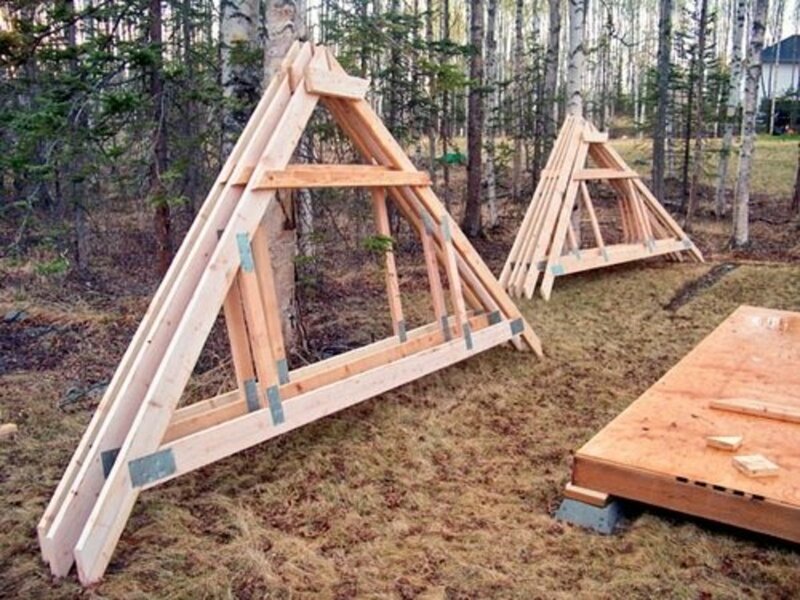 Use a make-shift pole to rotate the trusses upwards and lean into place. Once all the trusses are up and ready, slide them across and nail into place. 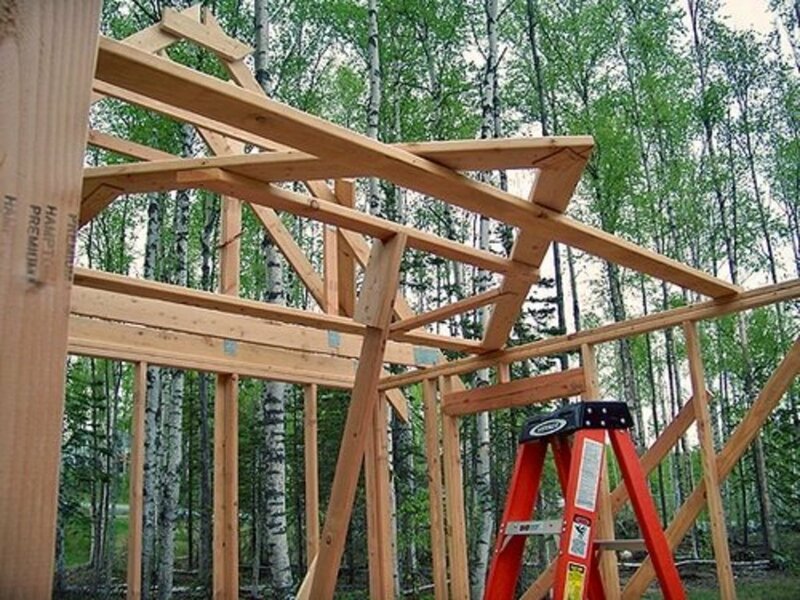 Use wood drops to keep the trusses in place, after nailing into position. The roof trusses are in place and ready for siding and windows. The upper area of the wall siding will be easy to nail into place, without the roof sheathing. Nail through each corner of the rough openings from inside, marking to cut the openings. Time to finish up the lap siding and trim, up next: the roofing. We're just finishing up on the windows, doors, and trim - up next: the shingle roofing. Shingle Roofing Done and Ready for Final Painting! 3d cut-away view of the gable shed plan - door and window placements moved around. 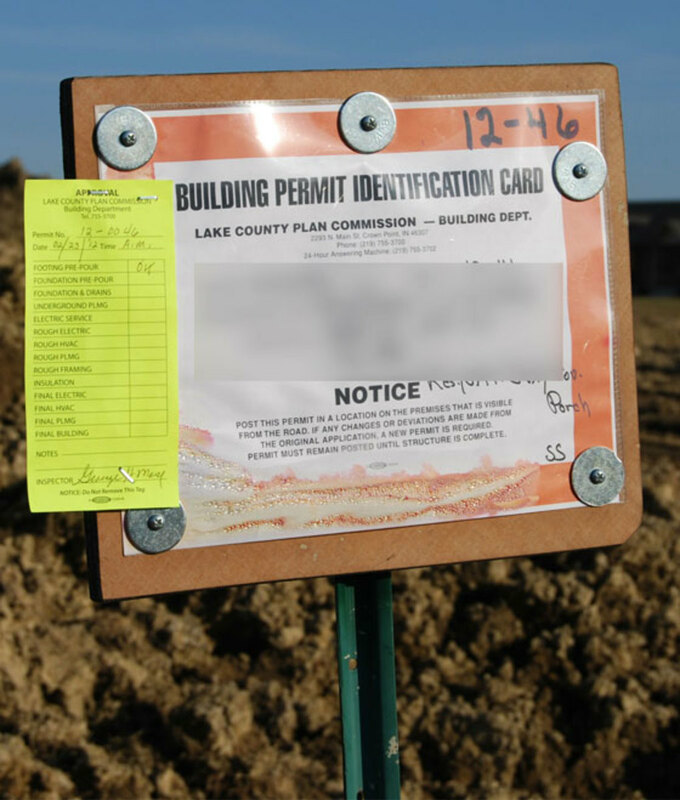 Always check with the local Register of Deeds office for any deed or plat restrictions during your planning and prior to shed construction. Most Building Inspection Departments will not have this information. Store your building materials inside your garage or under a tarp - not openly exposed to the weather. Wood, when in contact with the ground, must be pressure-treated or naturally resistant to decay. Treat all cut ends with an "end-cut" solution. Not all lumber labeled as "pressure-treated" is rated for permanent contact with the ground. Fasteners, hangers, nails, etc. 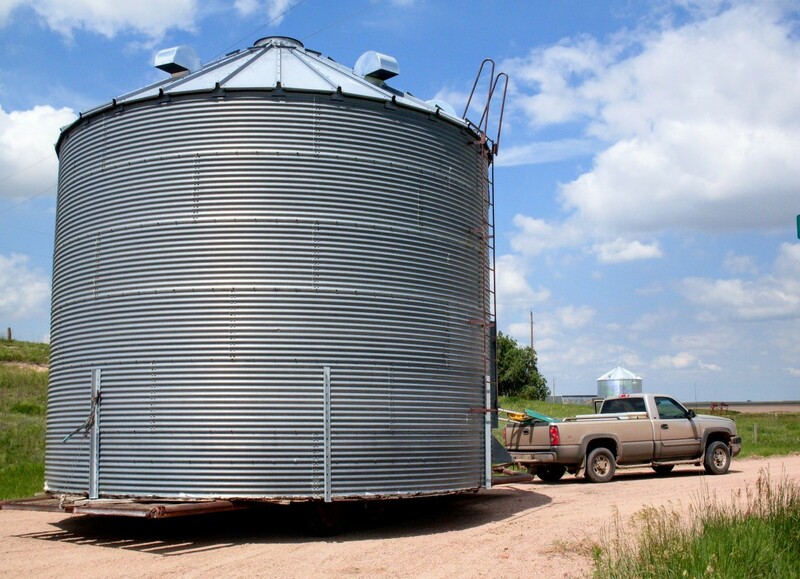 must be hot-dipped galvanized, stainless steel, or as required for the specified wood preservative used. If you've built your shed on a raised platform, install wire hardware cloth between the ground and the bottom of your shed to keep out small critters. This will also allow air to circulate freely beneath the building. If you value the contents, build it with safety and security in mind. Always install strong locks and heavy-duty latches. 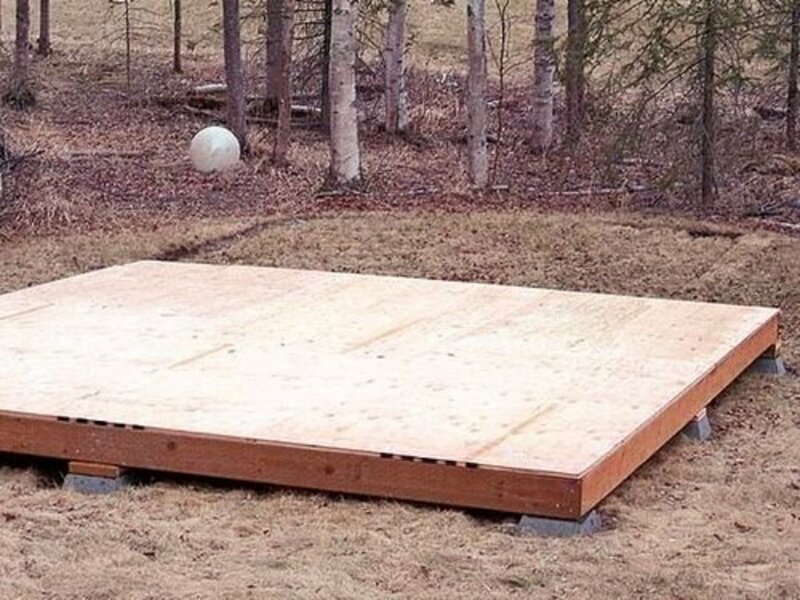 Add a ramp to your shed plans, for stumble-free/drive-up access. Have a regular maintenance plan to ensure screws, doors, windows and parts are kept tight and weather-proof. Snow load ratings will vary by geographical location. If you get heavy or wet snowfall, it's advisable to sweep the snow off the shed roof. 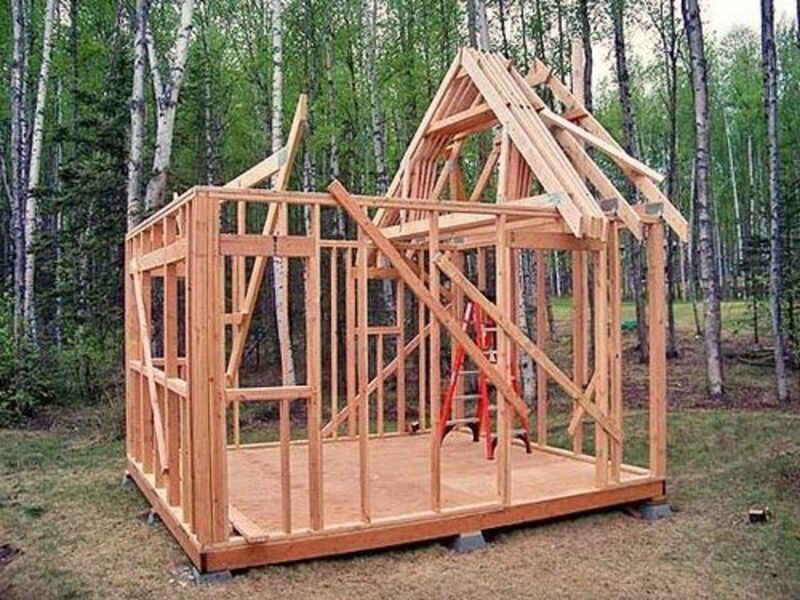 How to Build a Two Story Shed, With a Lot of Help! Share with us your thoughts and comments - What's your favorite wood shed design? If you want you can learn from WoodPrix woodworking plans how to make it yourself. Be careful of moss on your roof. It can hold moisture and rust metal roofing, allow dirt and moisture through asphalt shingles, reducing lifespan and creating leaks, and can look unsightly. Check out www.mossremovaleverettwa.com for more info on keeping your roof clean. I went to Menards and used their computer to build my shed. My problem is that the town needs detailed blueprints to approve it. Menards doesn't offer this. What are my options? I have all the material and can't build it. Help. 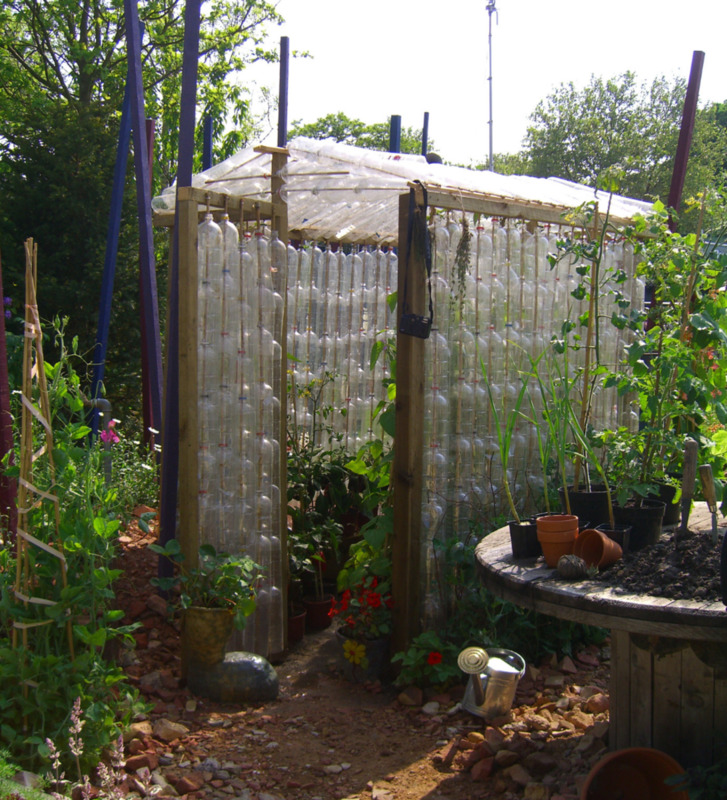 You Lens provides some great tips and advice for building a Do it Yourself shed. Great information for building a roof and foundation. 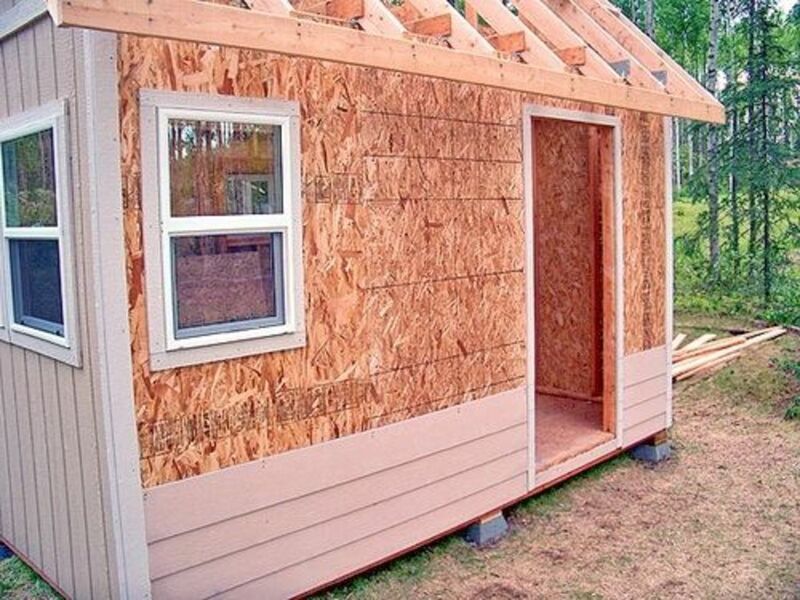 Thanks for sharing, the shed building looks so good, i wanna make it but i am a person with poor manupilative ability, so i admire you so much. We do lots of DIY construction and we're planning to build a garden shed next summer. Lots of great tips and resources here. Thanks! @ArmchairBuilder1: Thank you. Good luck with all! @BradKamer: Thank you. The barn style is one of my favorites, too. I don't do much DIY. I simply came to study your lens. ;) Thanks for your critique on my lens. I appreciated it a lot. This is a great lens. Congrats on being the lens of the day. Lovely, unique lens. I'm not really into DIY but your info made me linger. Inspiring lens. We're just about to order two sheds for the back garden and this has given us some food for thought, so thanks for that! Great post. I'm new to squiddoo...I've only created one lens... about building your own home. I think I could learn a few things from you lens layout. Thanks for sharing. I always preferred the barn style (gable). I enjoyed reading your lens. Nice use of the green caution flags. Use novice's need those! Congrats on LOTD. Great lens! Congrats on lens of the day! @Franksterk: Thank you, Frankster! Best to you. @DebMartin: Hi... nothing to be intimidated by. If you're needing the space, try using local help:) Best to you! Wow. Can you come over to my house? I'm a little intimidated about building my own shed. Best to you, my Squidoo friend. This is a really useful Lens written by an expert! Bookmarked for future use, and thank you. Great lens with excellent pictures. Thanks for sharing! Great lens! Maybe one day this info. will help me make a really cool chicken coop! @RawBill1: You see steel sheds in Australia for the same reason as we see steel sheds here in my part of the USA, South Florida, Termites and your nation does not have the vast forests that we have. I most tell you though I enjoyed every minute I spent in your country when I was there. @diy-plan: Thank-You for your best wishes on the Isacc, believe we always lose sleep when one is on the way. Your advice on not buying factory kit sheds I am 100% in agreement with, they are poor quality lumber, never pressured treated, steldom last more than ten years, here they are lucky to make it six years. I was asked to put one together by a friend after her son bought it for her as a gift, I almost had to rebuild it and when I was finished I thought what an ugly building. Five years later it had termites. When a shed is built on a wood base the base must be anchered into the earth, I have seen sheds flipped upside down after a storm when they are not anchored. I built a shed for a workshop a few years ago to build custom canoes in it, to make it storm ready I used OSB under the siding, then cross braced the studs, insulated it, then covered the studs on the inside with 5/8 inch plywood. The windows have storm shutters that I built for them, if this building fails in a storm I hope I am near the Canadian border. I also like the barn style roof. When I was only 20 or 21, my ex-husband and I drew out plans for a shed, on a piece of paper, and built it. We were quite pleased with the results. If I remember correctly, it was only about 16 x 16 feet, but we had it sectioned off, for our pony's shelter, and a workarea. One half was air-conditioned with lighting and a lovely floor. It was hard work, but really beautiful when it was finished When we sold the pony, it sufficed for our dog pen. 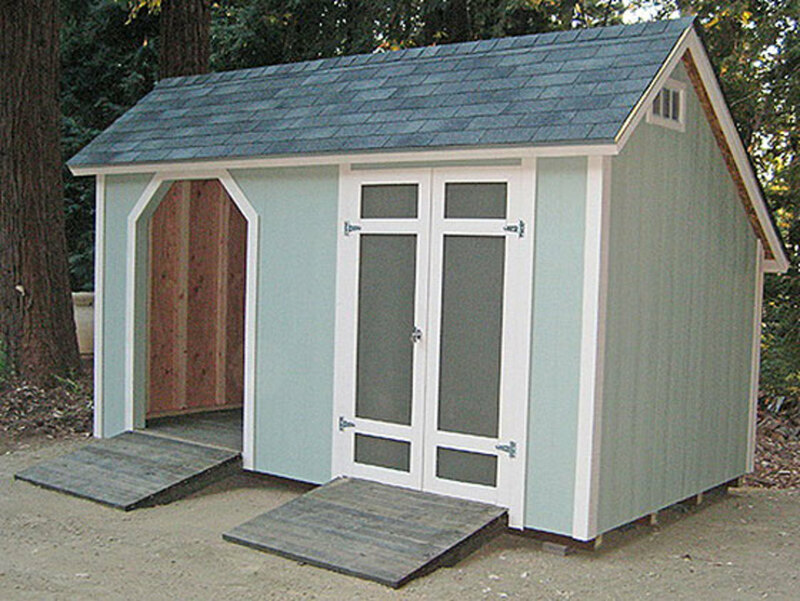 Sheds can be an enhancement to your property, and are certainly a useful addition to any outdoor living area. Loved the Lens. I love the barn style roof. 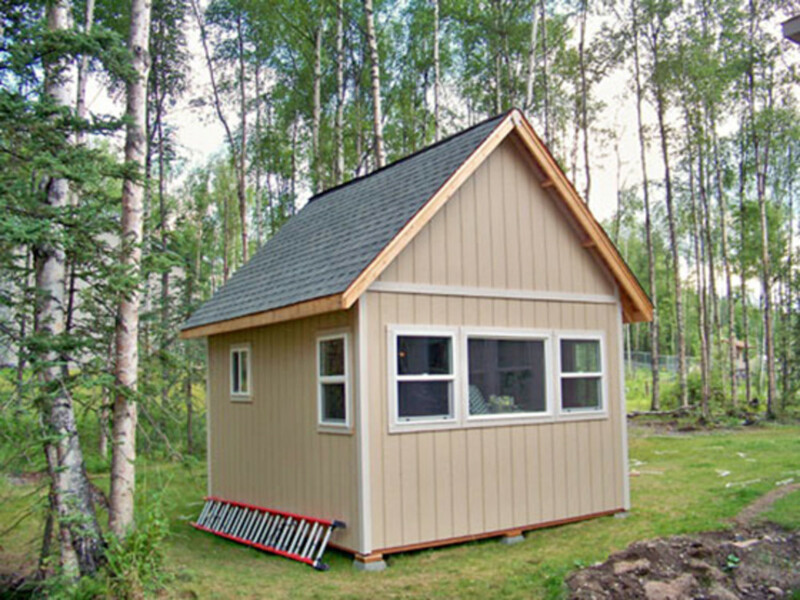 We really, really need a shed and I'm finding it seems a lot less expensive (and sturdier ;o) if you build it yourself. Thanks for sharing! 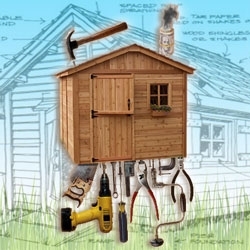 It is a very useful article about DIY shed building! The pictures are very beautiful! I can see why you won Lens of the day ! I love the shed with the red door how cute is that ! @CoolGamesOnline1: Thank you Cool! Best to you, my friend. @catherinelovestv: Thanks for your kind words :) Good luck, if you decide to build! Brilliant lens! I was looking for this type of lens for a wooden outpost for my kids, the wooden playhouse on stilts, I really want to build one, this lens makes me want to get started! I really like this lens and i guess i love it more is because this is what my best friends do for a living. There sheds are on Lowes parking lots. from Indiana to Ak. That is a lot of states and let me say they make an awesome living at this. I am talk more then upper crest. It totally shocks me. Nice site can't wait to show them. GREAR GREAT LENS! welcome to squidoo! This is an excellent lens! @BowWowBear: ...yes, wood is my life... but, I love it, so! Thank you for your visit, my friend. @anonymous: Thank you for sharing some of your building experience. I am going to be adding a tips area (soon) and will include your advice. Best to you, my friend. PS. I see you just dodged a bullet with hurricane Isaac... my prayers go out to those who's lives were interrupted and changed by this natural disaster. Thanks, you have a great lens. I like to use the hip roof design, it is pleasing to the eye, it is the best roof for high winds, certainlly a good idea with the hurricanes and tropical storms found in South Florida. I always build my sheds on a raised concrete slab for stability, I also use double hurricane ties. 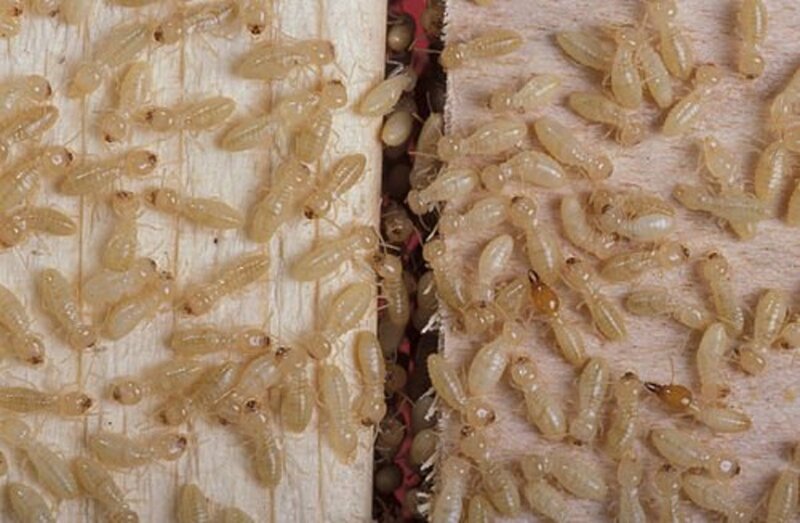 All studs and rafters are pressure treated because of the area's termite problems. I always anchor the shed to the concrete slab with expoy bolts. I never use T11 siding it does not hold up well in a subtropical climate. I use OSB under the siding and I often cross brace. I prefer a metal roof screwed down not nailed using water gasket screws. I generally use ridge vents or a wind turbine to help cool the shed and I also use Bahama shutters for the same reason. I build with rafters not trusses so I can keep the celling open to also cool the shed. This makes the shed expensive but after twenty years of use one of my oldest sheds which received proper up keep is still perfect. So which is cheaper one shed for life or one after every major windstorm? I know the answer because I had one shed stand up to a huricane! Excellent lens! Covers from start to finish with great illustrations along the way. I like to work with wood but am not very good at it. I look forward to seeing more of your ideas for wood working projects. @RawBill1: I like metal buildings, too... just not for small, personal spaces... they seem to get a lot colder in the winter. @anonymous: Thank you, TandC :) Best to you! @NightMagic: Thank you for your words of inspiration. Best to you, too, my Squidoo Friend! @anonymous: Thank you, so! It was my pleasure. @Elsie Hagley: Thank you for your visit, yesterday... and, yes... I was just as surprised and elated at the accolades and the resulting warmth I've received from the Squidoo community. The last story I read was about a young man in high school that was building one with the help of a local craftsman. Usually, I've found the underlying desire to build was their hope for a better, cleaner environment... makes me want to be aware of my own wasteful habits and what I ca do better. Thanks for stopping by and best to you. @Strawberry_Soda: Good for you... glad to hear you're having a go at doing it yourself... I'll be here if you have any questions. Actually planning on making a shed myself for my senior project, will be revisiting this page! Welcome to Squidoo. You sure have made a great start, with 2 lens, purple star and LotD. Congratulations, looking forward to more of your lens. Blessed. I would not even try this - but I do appreciate all the great advice, details, and pictures you used putting this together. Great job - blessed. Your lens goes so very well with the wood background. Very sharp lens my Squidoo friend! I'd lose a finger if I tried, but you certainly are talented! Congrats on your LOTD! This is a very thorough and clearly written lens. You deserve it. Awesome and very complete lens! Welcome to squidoo. What a massive amount of info --- great job. Congrats on the LOTD and Purple Star. This is such a wealth of information. Thanks for sharing and congratulations on LOTD. You are indeed a great craftman, way more than a carpenter. Thanks for sharing. Interesting lens. 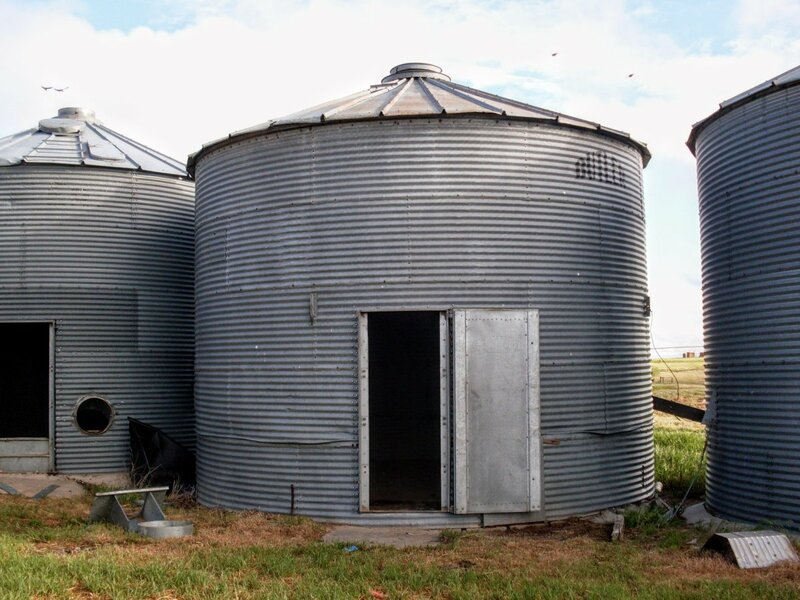 When I was growing up on a farm, I had to help when my father built a double-car garage, pighouse, machine shed, doubled the size of the barn etc. They all required foundations and he had us kids place rocks between the shovesl of concrete to save on the cost of cement. Please check out my "Flower Power" lens 'cause I need more Squid likes. One at the bottom of the page seems nice but really I like all the tools and other things too what a fantastic job you have done. Nice, logical and practical ideas. This is great. I would love a shed like one of those. They are very American! Here in Australia we mostly use steel for our backyard sheds. You will rarely see a shed made from any other material other than steel. Congrats on LOTD. Congratulations on winning the Lens of The Day (LOTD)!!! Wow, what a wonderful lens and the description to build a wooden building. It's amazing. I am sure you need a lots of patience to work on your project. Awesome job on this! And congratulations on your Lens of the Day &amp; Purple Star Honors! My hubby is also a carpenter, and he'll enjoy seeing this lens - outstanding step-by-step details! Bravo! :) Squid hugs and Squid Angel blessed! @accfuller: Thank you for your kind words:) ... and yes, cement slabs are more work, but if the shed is permanent or you plan to use it for heavy equipment, a cement shed floor is a real plus. @soaringsis: Thank you! 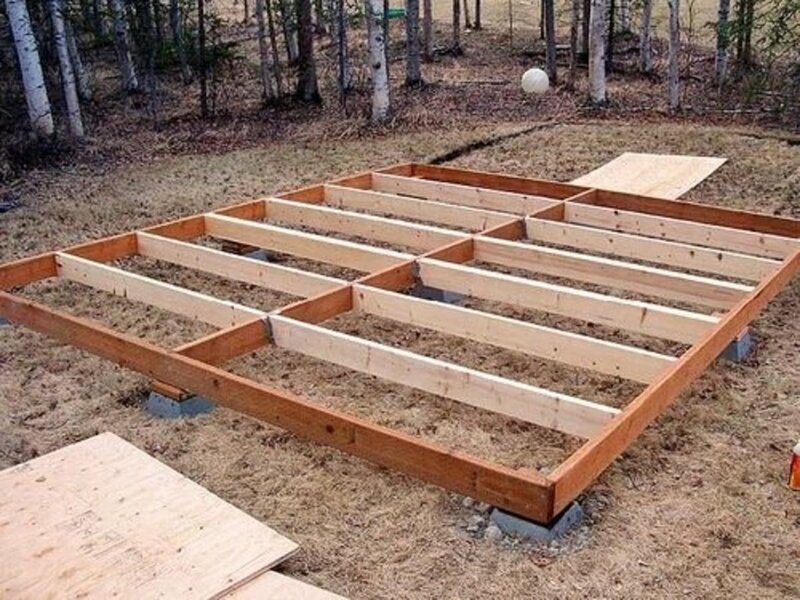 I hope this article comes in handy, when they decide to get some DIY shed plans. Great! Sheds are pretty much the greatest thing since slice bread. I have several and wish I had one for every area of the property. It really helps with organization. thank you for details. are really great and very useful ! Welcome to Squidoo. congratulations on your LotD and purple star. Great info. I'll be around, if you have any questions... and, tips or advice, too! I live in an apartment but liked your designs.Welcome to squidoo.Congratulations on Lotd.Please do visit mine. I am glad I live in and Apartment and no longer need one of these. My bad but true.....but great step by step plans.